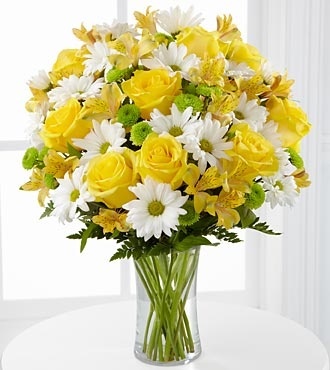 In honor of all the joy delivered by the hardworking volunteers of Random Acts of Flowers who make this extraordinary organization’s mission bloom, we introduce Random Acts of Flowers Sunny Sentiments Bouquet. 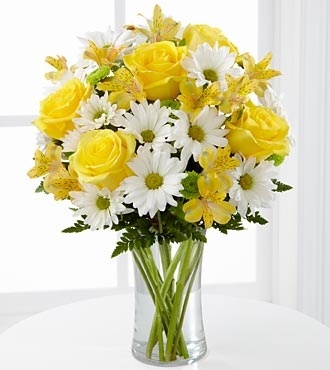 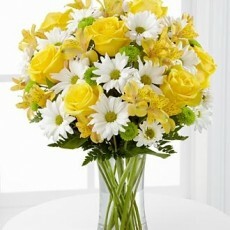 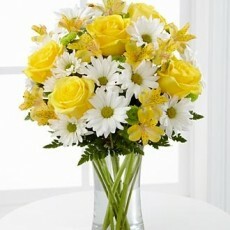 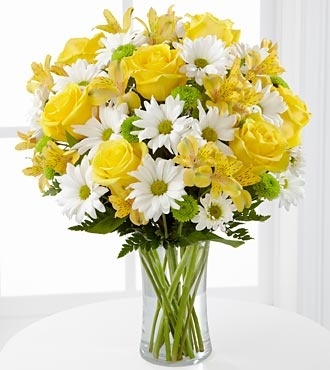 Sunny yellow roses, Peruvian lilies, daisies and green button poms hand-arranged by your neighborhood artisan florist create a memorable bouquet perfect for celebrating a birthday, anniversary, sending your congratulations or “thank you.” It comes in a classic, clear glass vase. 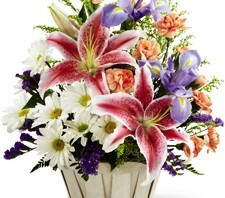 Large bouquet is approximately 18″H x 14″W. 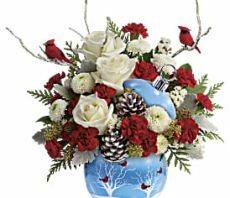 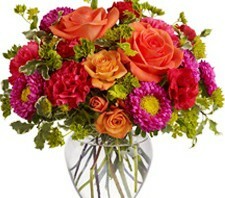 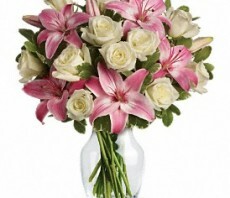 Larg bouquet is approximately 18″H x 14″W.